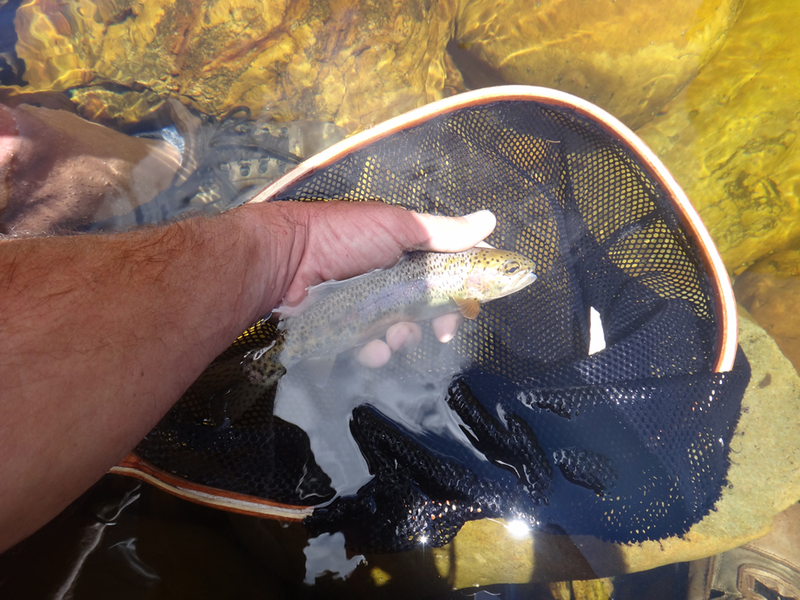 An interesting discussion this past week on the Flyloops Forum, “how much is fly fishing about luck”? Which was stimulated by a previous blog “The Last Word”, from “The Fishing Gene Blog”. Undoubtedly there is some element of fortune, good or bad, to angling. There is far too much out of our control for there not to be. The weather, hatches, wind direction, temperature and such are all beyond our manipulation but how much of it is really luck? Perhaps for the neophyte luck plays a significant role but for the more proficient success lies less and less within the realms of good fortune and more and more within the sphere of proficiency. In fact I would suggest that the same is true of much else. Perhaps for me, the more important distinction is whether you believe it is luck or not. The concept that should you be successful you have been blessed in some way by celestial powers removes the idea that you have, at least some, control over your situation. The idea that it is all in the hands of the Gods diminishes your scope to be able to do anything about it when things go poorly and that ultimately to my mind disempowers you. I am quite sure the exact same is true of much else from business dealings to relationships. If you focus on your good or bad fortunes you are reduced to a mere rolling of the dice each time you venture out onto the water. If on the other hand you embrace the idea that success or failure is based on your own actions, your own skills, you own determination, your own level of expertise, your experience and such then you are empowered. With such a mind set you are now able to make adjustments, improve your skills, practise and learn and become more effective. As I say that is undoutedly true of anything, golf, tennis, hunting, backgammon, photography, poker and more, I see no reason to imagine that it is less true of fishing. It is a well accepted idea that 20% of the anglers catch 80% of the fish and that strongly suggests that the 20% of anglers are doing something that the other 80% are not. From a fly fishing perspective I believe that although there are a lot of factors one of the key elements is that the 20% of anglers who catch most of the fish cast well. I can just imagine someone chucking a fly randomly into the water, the terminal tackle landing wheresoever the wind takes it and hanging on expectantly for a tug on the line. They are going to think that they had good luck should they be successful. On the other hand the more proficient, will put the fly where they want it, in the way that they want it, into places where experience tells them there are likely to be feeding fish, surprise surprise, they get “lucky” a lot more often. It isn’t all about hi-tech analysis, much is simply common sense. I recall asking a client who caught a lot of salmon about what it takes, what’s the secret? (I am not a salmon fisherman and know next to nothing about this branch of our sport). His eminently pragmatic and undoubtedly true comment was simply this “I only go fishing when I know that there are salmon in the river”.. I suppose you can see that would tend to improve his chances of succes by quite a degree. I suspect equally that a lot of his colleagues imagine that he is “just lucky”.. So here is a list of a few things which I believe are within everyone’s scope to improve your efficiency and effectiveness. 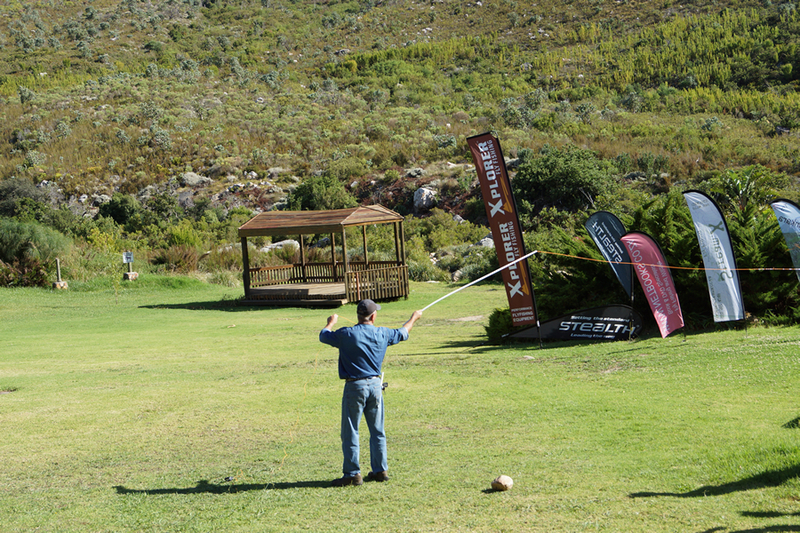 1) Practise your casting: as Gary Player famously said “the more I practise the luckier I get”, for him it was swinging a golf club, for you it is being able to cast well and effortlessly all day. Not just distance but also accuracy. If you can’t cast you can’t fish, simple as that. 2) Be prepared: There is a great deal out of our control when we go fishing, so it is all the more important to control what you can. Have your tackle in tip top shape, have your leaders prepared, your fly boxes filled with suitable imitations depending on the location, season and target species. And try to be ready for every eventuality that might occur when you are on the water. 3) Learn and understand the various elements of what most would call “presentation”. That embraces everything from how to achieve effortless drag free drifts on a dry fly to being able to put a weed fly in front of a feedling milkfish at 20 metres. Presentation is probably the most important element in the entire equation. 5) Avoid the “what fly are you using” mentality, certainly there are times when having the right fly counts for a lot, but not as often as you might imagine, casting well, presentation, fishing in the right place, having correctly structured leaders etc are all probably more important most of the time. Read “What Fly ” on “The Fishing Gene Blog”. 7) Improve your casting…yes I know that I said that already but it deserves repetition. For most of the anglers I guide or coach their casting ability or lack thereof is the most significant limitation to their success levels. It doesn’t matter how many flies you have, how expensive your rod is or much else if you can’t cast well enough to put the fly where you want it most of the time. 8) Fish with people better than you are, it might open your eyes to all manner of posibilities which you weren’t aware of. You can fish for twenty years or you can fish the same year twenty times, the choice is yours but the benefits of the former are far greater than the latter. 9) Expect to catch fish, develop a mind set that says you will catch fish. It isn’t the power of positive thinking so much as the fact that if you expect to catch and you don’t you will change something. If you don’t expect to catch then you will write the day off as “bad luck” , keep doing what you were and end the day with a dry net. 10) Have a check list, getting to the water missing some piece of your gear is likey to spoil your day and at the very least put you off your stride. 11) Check and recheck, if you miss a fish, check the fly isn’t tangled or the point damaged, if you make a poor cast check there are no knots or tangles in your leader. Check every time. 12) Learn to wade softly, no amount of good fishing technique is going to help you if you are bashing the rocks about with your feet and scaring all the fish before they are within casting distance. 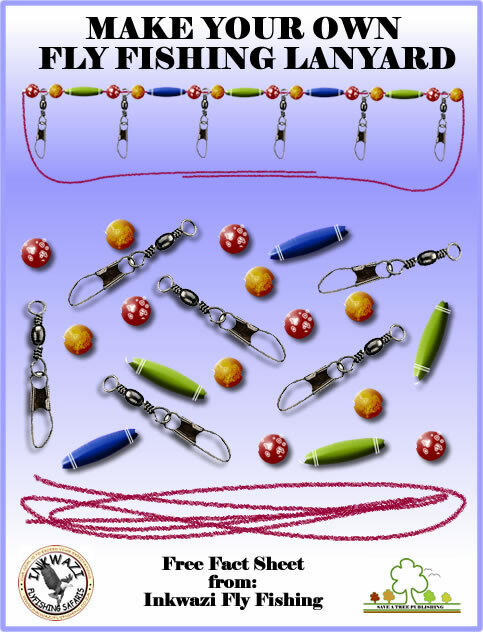 13) Practise good line control, such that you can mend the line to avoid drag, be in touch so that you can set the hook and not have yards of the stuff wrapped all around your reel or legs when you finally hook a fish. 14)Ditch the idea that luck has anything to do with it, to be honest it might, but that won’t help you. Believing that you are in charge of your own destiny, that you hold the cards when it comes to your fortunes, that will empower you to reach greater heights. Of course that doesn’t only apply to fishing, it probably applies to pretty much everything. The more things change the more they stay the same. Or how to call a spade a shovel. Odd how things happen, a few days ago I was on the water with a beginner fly angler; at least I knew he was a novice and more to the point so did he. We had done some casting practise on the lawn prior to departure for the river but it was going to be tough. The water hereabouts is now low, possibly not at its lowest but getting that way, the sun is in its zenith and the temperatures are soaring into the upper twenties. (That’s Celsius for those still living in the dark ages and measuring things in pints, gallons, miles and Fahrenheit). All in all, tough fishing, and added to that every one of the beautifully spotted and elusive trout inhabiting these waters was born in the stream. They have seen every manner of fly and presentation and have been annoyed over and over in the course of the season by myriad anglers, they have PhD’s in poor presentation and artificial flyrecognition. They will spook if a cloud crosses the sun, a dragonfly flits over their lie or a leaf falls from a tree It isn’t the place to be taking a novice; actually it isn’t the place to be taking anyone who wants to catch lots of easy fish. Right now the streams are tricky. There are big fish to be sure but even the tiddlers can be heartbreakingly difficult to tempt- TOUGH.TOUGH TOUGH . Still we had been trying to put the trip together for the better part of a year and various commitments, combined with high water, low water, weather and such had meant that now there was a window of opportunity and we were going to take it. Come hell or low water. It was of course no surprise then, as we worked upstream, spotting the occasional fish holding languidly in the low flows, that most of the time a wayward cast would send the fish running in panic. The flat water was simply impossible and even for me with a 20’ 8x leader I wasn’t getting near anything so we focused on the moving stuff, the shade of the trees and such in an effort to give ourselves some slight advantage. 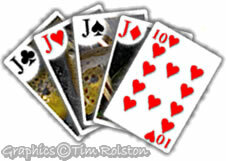 Under these conditions the trout hold all the cards, it is an education and it can be fun with the right mind-set, but it is dastardly tricky. I have fished in Wales, France, New Zealand, Spain and England, on waters ranging from rapid and slightly turbid freestone creeks to glassy chalk streams, there is nowhere (with the possible exception of a few waters in France) where the going is so technically demanding. I am not talking technical in terms of selecting the right fly, any decent guide, fly shop or even someone with a smattering of entomological knowledge can pick out a fly most of the time. No the key is “Presentation”. Presentation, presentation, presentation, and whilst that might mean a whole heap of different things in different circumstances you absolutely have to be able to cast. In the end we prevailed, the client got his fish (his first ever trout on a fly, and isn’t that a moment to savor), we landed a few more with tricky throws under the bushes and he had a great day, apparently enjoying the wonder of it, the sight fishing and the “heart in the mouth” moments of throwing a fly over a paranoid schizophrenic trout, with ADD and OCD all rolled into one. Gavin’s first ever trout on a fly, caught in the hard school and aren’t we glad we did that casting practise? The real key however was that he knew he was a beginner and so did I, the trouble comes from those who aren’t so aware of their limitations and to be honest that is most anglers. I estimate that over 80% of the clients I guide suffer the greatest limitation in terms of their ability or inability to cast well enough. Sure they can put it out there on the lawn when the breeze is cooperative, there is no intervening herbage and the target is somewhere near the rose bushes. On the river with one cast, a nasty downstream breeze, clear water and a target about the size of a fleas wedding tackle the game changes. Nobody gets that right all the time but the better you cast the more chance that you have. So I was most interested to be put onto a lovely piece of writing by a client and friend Jonathan Meyers, the post is from a blog called “The Trout Diaries” written by Derek Grzelewski, you will note that I have added it to the blog roll because it really is worthy or your time to read. The Essence of Fly Casting – The Trout Diaries Blog.. Image courtesy of “The Trout Diaries”. When you get right down to it, for all the fancy tackle, the aerospace reels, the dainty and complex flies and leader formulae that look like something from a quantum mechanics equation, if you can’t cast well enough you aren’t going to catch many trout and you sure as eggs aren’t going to catch the tricky ones. (which frequently but not always also equates to the big ones). To hear that other guides have the same problems made me feel a whole lot better, and I frequently tell myself that I am fortunate that I am at least not asking someone to hit a bonefish at 25 yards on a windy Seychelles coral flat. When you have got this in your sights can you make the cast? Truth be told, the money you might spend on a rod, a guide or a fancier fishing vest might well be better invested in some quality fly casting instruction, but beware there are still plenty of people out there who profess to be able to help you and can’t. There are still videos suggesting you should use “The clock system” ( a pet hate of mine), and there are still those who suggest that you should hold a book under your arm, or similar rubbish. Thanks to Jonathan for linking me up with Derek and his lovely blog, thanks to Gavin for allowing me to shout at him on the river and on the lawn, it proved to be worth the frustration for both of us. Finally thanks to Stu, it is so nice to know that I am not the only one out there preaching the message and trying to politely call a spade a shovel. There are numerous references in that book to the way that we learn things, we would love to imagine that it is all intellect and skill and such, but mostly it is just about practising, and perhaps more importantly practising correctly. How we learn to do stuff has become something of a fascination for me, not that I am in any way qualified to investigate it, just that it is of interest and it seems to me that much of it is actually the same as you were told as a child. The same way that you learned your times tables, or how to write or drive a car or cast a flyline. The modern world of instant gratification would have you believe that there is a “quick fix” to everything, “lose your belly fat in five days”, “Speak another language in a week” etc but life suggests that isn’t the way to go. So why call a book “Learn to Fly-Cast in a Weekend”. Firstly because beginners actually can learn to do that, for the simple reason that they don’t have to “unlearn” anything. Now it so happens that I have recently set about trying to learn something new, some years back I taught myself to touch type, it is going pretty well, whereas it started at about ten words a minute with a lot of mistakes it is now sitting closer to seventy words a minute with reasonable accuracy. How did I achieve that? By simply sitting down every day and bashing away on a keyboard with an electronic tutor making the most mind jangling noise each time I hit the wrong key. It is tremendously frustrating stuff, and equally very effective. For some bizarre reason though I never did teach myself to use the number keys, which by default equally means the #%^)(*& and stuff that goes along with them. So I would have to look down at those keys each time, rather spoiling the effect. It’s not unlike having to look down to pick up the line at the end of each cast, if you do that you will by now be aware that it will cost you some fish, because you weren’t ready.. bad habit. So I decided it was time to put that matter straight and am busy bashing away once again, warning bells ringing in my ears as I try to train my muscles with new Engrams. Engrams are those highlighted and stored pathways between the brain and the nerves and muscles that provide, over time, shortcuts to actions. They are the things that allow you to change gear with your stick shift, put a cup to your lips without spilling coffee down your front or indeed hit the “P” when you want to on a keyboard. In time they may be the things that allow me to hit the 123456890 keys too, but those pathways are still in the baby stages and currently being laboriously hot wired into my nervous system through constant repetition. Why discuss typing practise on a fishing blog? Well because the process is exactly the same if you are learning to cast a fly rod. Repetition works, it is the only thing that works, you simply cannot learn to fly cast properly without practising. More to the point practising the correct thing, (it is a sneaking little caveat to engrams, if you practise the wrong stuff you will get shortcuts to the wrong stuff.) A classic case of Garbage in Garbage out. Now back to the typing, you see because I neglected to “do the numbers” at the same time as I did the rest of the keyboard, the numbers don’t have allocated shortcuts,(engrams) not only that but because I was looking down at them I was using any random finger that happened to be available at the time. So in fact they do have engrams attached to them, just the wrong ones and that is where a heap of the frustration comes from. The analogy with fly casting gets stronger, many of us get to cast well enough to catch a fish, in some places that doesn’t require a whole lot, and then we stop. We carry on fishing; we ingrain those bad habits and fix those erroneous engrams into our nervous systems. Even fly casting tutors have them in some instances and in the worst case scenarios they are so ingrained that the tutors will try to teach you the same thing. Because I neglected to finish the whole course when I first set out to learn to type, I now have to go through the entire process again, not only that but I have to “unlearn” all those bad habits that have accumulated as a result of my neglect. There is only one way around it, to sit down, make a concerted effort not to go back to what I was doing and go through the pain of getting it right. I have one advantage, I got it right before and I know that I can again; it is simply a case of repetitive practise. Interestingly enough, you can’t really practise typing by just typing, you don’t apparently pay any price for your mistakes and you don’t get anything much by way of feedback. In fact most programs automatically correct your errors before you even notice them. The same applies, at least to my mind, to casting, you cannot practise casting when you are fishing. Firstly you will get away with things often enough not to notice and secondly you are not focused on the casting but on the fishing, much as when typing I am focused on the language not on the right keys. If you are not happy with your casting (and don’t feel bad, by my estimates at least 80% of fly anglers aren’t really that happy with theirs) there is a solution, it is possibly slightly painful or if not actually painful, at least a tad uncomfortable and frustrating. But you can make a decision, as I have with my typing. You can either live with the way that it is or you can change it. It doesn’t take much, some understanding of what you are trying to achieve, the right practise exercises to follow and some diligence. The Holy Grail at the other end though is that once you have mastered it you won’t ever have to look back. It is a choice, it is a choice that I would recommend that you make and if you want some help my book “Learn to Fly-Cast in a Weekend” provides 16 exercises to follow that will provide you with the framework for your practise. Where I live the fishing season has recently opened in other parts it has just closed, in either case, it is the perfect time to sort out your casting, and I assure you that it really is well within your grasp, it just takes a bit of practise. Today I still have to focus on reaching that “6” because it isn’t quite ingrained yet, but I could probably hit the darned thing with a fly from twenty yards, because I have put in the work on that front..
People always tell me that “If you aren’t getting the results that you want you have to change the things that you do”.. that applies to fly casting as much as anything else, and as said, if you take the trouble to go through the process properly once, you will never have to do it again. It is what allows me to type this blog post in little more than 20 minutes and what will allow you to spend the rest of your life enjoying your fishing without worrying about your casting.. In the end that has to be worth the effort. The Mathematics of “Fishing under the Radar”. A recently posed question about trout vision, diffraction and all of that had me reaching for the maths books and trying to recall school day trigonometry. But the exercise produced some interesting thoughts none the less. Not least I think that it added mathematical proof to the way that I like to fish. Long leaders and aggressive casting with tight loops aiming low, relying on the leader to bleed off energy at the last moment. 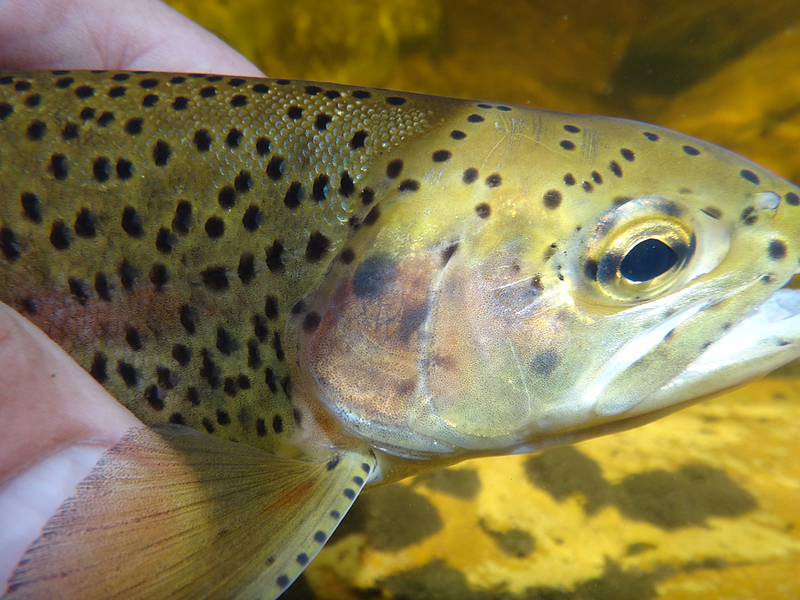 Irrespective of the fish’s visual acuity there are physical properties associated with the bending (refraction of light) which have significant effects on what a trout could possibly see. 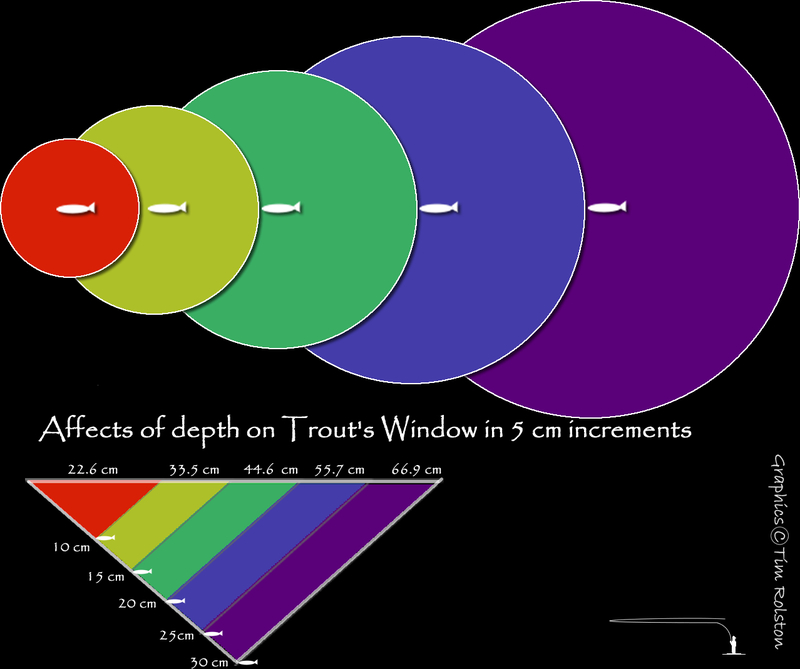 The trout’s world consists of a window, the diameter of which is determined by a thing called the Snell’s equation. 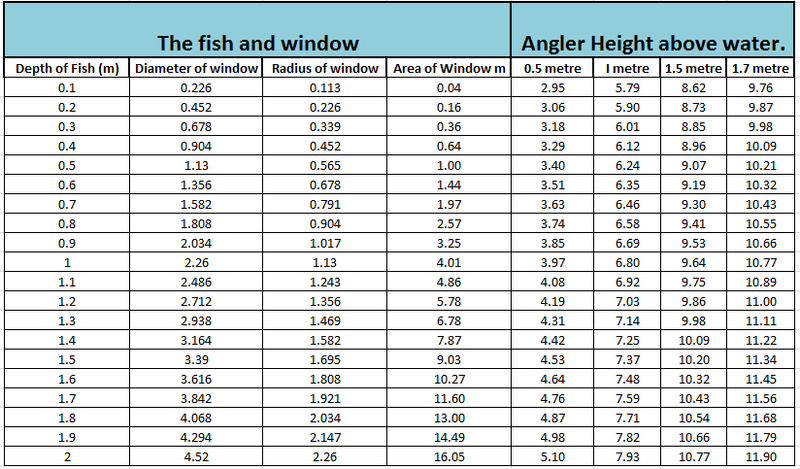 In simple terms the window is 2.26 times as wide as the trout is deep. So it can clearly see things on the surface over a wider area the deeper the fish is. At one meter the fish can clearly see things on the film in a 2.26 metre wide circle above its head. Many angling writers have made much of this, because a relatively small increase in depth radically changes the size of the window. At 0.5 meters the window has a diameter of 1.13 metres, but at a depth of a metre that window grows enormously to 2.26 metres across. If you take the area of the window the results are all the more dramatic. At 0.5 metres depth the area of the window is 1 square meter, at one metre in depth that window jumps to 4 square metres. Double the depth and you effectively quadruple the size of the window. I think that frequently this has been misinterpreted along the lines that if the trout’s window is 2.26 meters across (about 8’6″) a nine foot leader is all that you need to keep the line out of sight of the fish. I am going to suggest that the following mathematical gymnastics offer solid proof that isn’t the case. (I am not even factoring in the disturbance of the mirror, of which the fish is undoubtedly aware). It has long been held, and probably correctly that the shallower the fish the more accurate your cast needs to be for the fish to see the fly. A fish feeding directly under the surface, let’s say 5 cm has a view of the world condensed into a circle only 11 centimetres across an area of about 100 square centimeters. That’s not a lot to aim at with a fly. 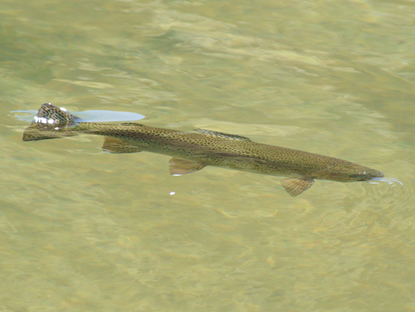 (Fish can “see” the fly, in the mirror, as pointed out by Goddard and Clarke in their excellent book “The Trout and the Fly”. But for now we are going to stick with the window). However what started this discussion was what can trout see that might scare them? This doesn’t have a whole lot to do with the window at all in my opinion and a lot more to do with the refraction of light and what falls below the critical 10 degree mark. If the fish were actually looking up through an eleven centimetre wide tube, a sort of tunnel vision if you wish it would be easy to sneak up and drop a fly right on their heads. That window however encompasses all the light coming from an approximately 160 ° arc. It is bent to fit into the window by the refractive properties of the water, but remember that to the trout that is normal. Anything above the critical ten degrees is at least theoretically visible. The light hitting the water below an angle of ten degrees is to all intents and purposes reflected and doesn’t reach the trout’s eye. Taking a trout at half a metre depth in calm clear water, how far away would an object (say an angler) a metre tall have to be to be unseen? 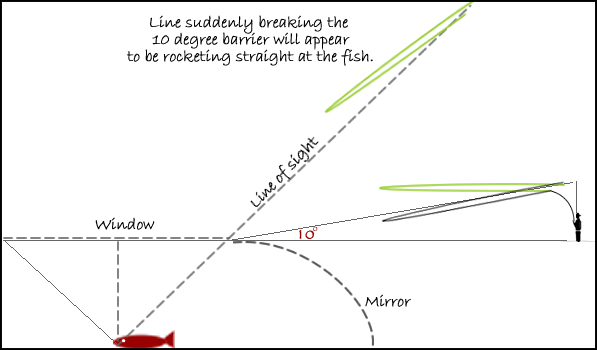 Effectively the fish only gets light from objects above a ten degree angle of incidence. (Actually it is slightly under ten degrees but I am trying to keep things simple). (if you want to know where that came from the mathematics, and they are mine and therefore questionable at best: Snell’s constant provides that in water the diameter of the fishes window is 2.26 x its depth the radius of that window is therefore 1.13. The tan of a ten degree angle of a right angle triangle is the ratio of “opposite over adjacent” sides. That is to say that the height h is 0.1763 of the distance. For a trout half a meter down, anything a meter tall comes into view at 6.237 metres distant. However we have all been lead to believe that the shallower the fish the closer you can get, and that is true, but it isn’t true by much. If our imaginary fish comes closer to the surface , to a depth 20 cm for example a metre high object stays hidden up to 5.9 metres, darn you can sneak an extra thirty odd centimetres closer. The bending of the light doesn’t change and so trout sitting close to the surface can actually see pretty much as well as those that are deeper. 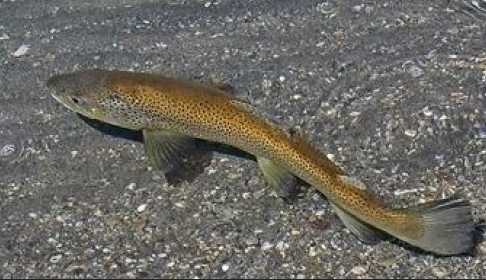 Perhaps the picture is a little more compressed and I am not a trout so I can’t vouch for what that does to them, but I figure that they are probably used to it and the important bit is that you are going to be in view before you get that close, no matter how shallow the fish is. However, having pondered the questions a little further I am not sure that the visibility of the angler or the diameter of the window is really as important as another aspect that I have never seen discussed in print. The effect of casting into the fish’s line of sight even if you aren’t yourself visible. It struck me when I was making these calculations that your line is going to flash above that ten degree horizon and when it does chances are it is going to come as something of a shock to the fish. Let us for the moment assume that you can cast a metre above the surface, as your line unfurls it is going to appear in the trout’s vision at somewhere around six metres from the trout. Then your line is going to come flashing into the trout’s line of sight, not only that, but because everything that a trout sees appears to march down a hill straight at it, your fly line is going to suddenly appear like a rocket belting straight at the fish. That would scare me and I am pretty darn sure that it scares the fish too. How often have you watched a fish only to have it spook the moment you aerialize the line.? So how would a longer leader help? So let’s play another bit of mathematical hypothesis, just for the sake of it. Say that you can unfurl your line a metre above the surface and just to humour me we are going to imagine that the leader is invisible but the fly line not. How long should the leader be if cast a meter above the surface for the fly line to remain “out of sight” if the fish is half a meter down? Using the same maths we can calculate that the leader would have to be 6.25 metres long (Just over twenty feet). However if you can unfurl your leader just half a metre above the surface then you can get away with a leader of only 3.4 metres (About eleven feet). To me then it becomes patently obvious that a leader of only 2.74 m (Nine feet) is entirely unsuitable if you are trying to keep the line out of the fish’s view. Click on diagram to see larger image. Oddly enough the longer the leader the more that you can power the fly in low and hard without getting poor presentation. The very thing that you need to do if you are going to keep the line “under the radar”, in fact with a long unstable leader you can angle the casts down at the water just a tad and afford yourself an even better chance of getting in “under the radar”. The depth of the trout and the size of the trout’s window doesn’t actually have that much effect on what it can see of the angler or his line. The height of the angler and or his unrolling line in the air is far more critical than the depth of the fish. Casts angled downwards will stay out of sight better than those lobed high and “floated in”. So after all that tiresome mathematics I would have to say that I believe the trigonometry supports my view that long leaders, fired in hard with narrow loops low to the surface offer the best and least visible presentation. That old fashioned “aim high and float the fly in” is all too likely to flash the line into the fish’s view and scare the living daylights out of it. I hope my old maths teacher is still alive, he would be most impressed for me to use trig to prove a point, actually if he is still kicking and he finds out the shock would probably finish him off. Note: I am a better caster than mathematician so open discussion is welcomed, please do feel free to leave a comment, observation or thought on this blog. Brought to you by the author of “Learn to Fly-cast in a Weekend” now available for download as an eBook for PC, Kindle or ipad from Smashwords. I have been fishing for longer than I can remember and guiding for a good part of that time and the one thing that stands out is that many anglers simply don’t cast well enough. It is not the fly or the leader design that limits most anglers but simply their lack of ability to put the fly where then want it in the manner they would wish. Now that is a contentious issue, you can tell a guy he has an ugly wife, is less than well-endowed in the wedding tackle department or that he looks pretty dumb in his golf pants and he probably won’t take offense, criticize his fly casting and you are on thin ice. As an aside it was pointed out to me once that the English language is the only place you can be on thin ice and end up in hot water, but I digress. Not only does this casting problem translate into less enjoyment when fishing, and less fish caught for that matter, but it is also I suspect a secretly troublesome little niggle in the minds of many, and yet they are reluctant to admit it. Particularly for those of us sporting a “Y” chromosome, we are supposed to be naturally able to cast a fly aren’t we? I mean who needs to be taught that? There must be something to this, anyone who has bought a golf club has headed to the pro shop to book some tee off time with the instructor and yet anglers the world over spend hundreds of dollars on rods, trips to exotic locations and yes even on guides but they don’t want to get help with their casting. So they learn from Uncle Joe or their mate down at the pond, the errors compound and bad habits become ingrained. It is just silly. 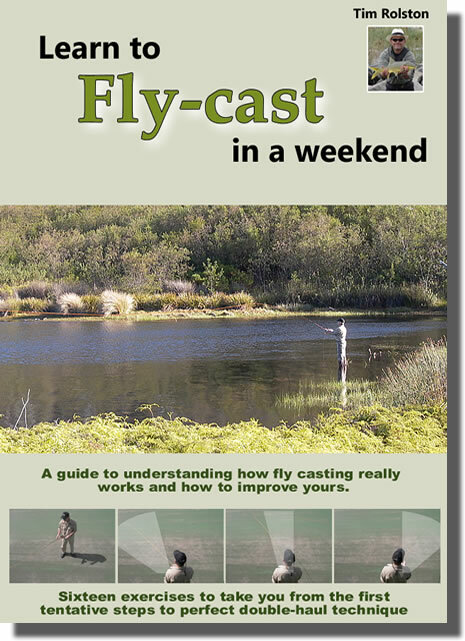 Indeed some four years back I became so concerned about this issue that I published a book, “Learn to Fly-cast in a weekend” based on the work that myself and my good friend Gordon McKay did on improving our own casting. We spent days if not months, reviewing material from Joan Wulff, Lefty Kreh, Charles Ritz and a variety of others from around the world. We read the books, watched the videos and tried to come up with a solution. In the end we did, we practised and critiqued one another and our casting improved, improved beyond recognition actually. Then we did something even more difficult, we decided to work out how best to teach someone else what we had learned. That isn’t quite so easy but over time a method was born which worked. It worked for us and it worked for our clients at a variety of casting clinics and fly fishing retreats. It worked for men and women young and old and it differed significantly from what most instructors suggest. It even worked for two clients well into their sixties who ended up after a few days throwing the entire 30 metres of fly line with a couple of strokes. Something that impressed them enough to want to purchase my fly rod and I had to point out that it wasn’t the rod, it was their new found technique that was doing the trick. So what works? Well I can tell you what doesn’t work, even though I have seen these ideas suggested in numerous places by some very well known anglers. The casting clock doesn't work, if it did there would be more good casters out there. Holding a book under your arm doesn’t work; using more force doesn’t work, putting your left leg forward, strapping your wrist up with some infernal and overly expensive brace or casting like the hands of a clock doesn’t work. What actually works is so remarkably simple that you wouldn’t credit it. That book sold out, despite the fact that the publishers never saw the need to make it widely available. Add to that the cost of transporting the tome about the world and the obvious lack of eco sensitivity in chopping down trees and jetting heavy books around the globe the printed version had its limitations. Plus of course there is the issue of being too embarrassed to go into your local fly shop and admit that you want some help with your casting. Well now after four years and not inconsiderable effort the problem has been solved. 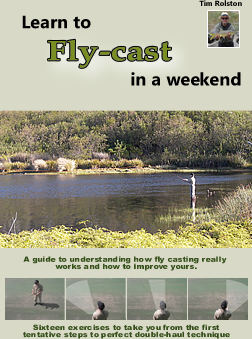 “Learn to Fly-cast in a weekend” has been revised, re-edited and produced in eBook format so that it is available to everyone, around the world. It can be downloaded in a format to suit your PC, your ipad, or Kindle and it comes in the metaphorical electronic brown paper wrapper, nobody even needs to know that you got one (just remember to clear the history on your browser).. So for a nominal fee of less than the cost of a few flies you can improve your casting once and for all. The system works, if fact I am prepared to guarantee it. If you get a copy of this book, work through the exercises in it and it doesn’t significantly improve your casting I will refund you the purchase price. Not only that but you can go through the first 20% of the book without even having to buy it. 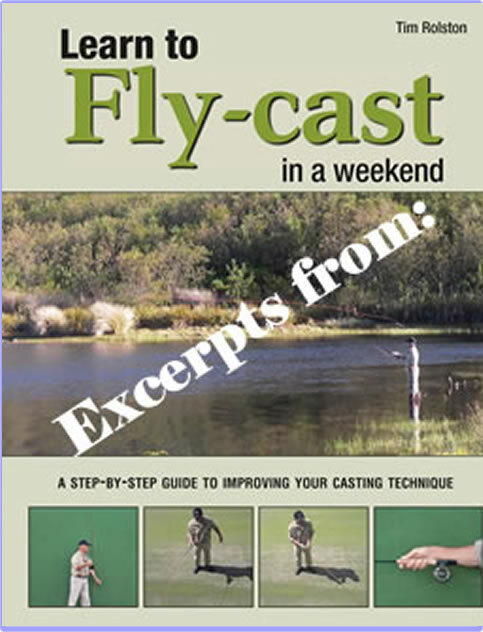 You can download the electronic version of “Learn to Fly-cast in a weekend” from Smashwords if you have the nerve to risk upsetting someone you can send them a copy as a gift from the same link. Hopefully it will also soon be available from other electronic book stores such as Barnes and Noble as a Nook Book. If you are secretly thinking that your local stream is too bushy, the fish are too far away or you are tired of undoing all of those tangles then do yourself a favour and check out this book. For the price of a few flies you can’t really go wrong. The advantages of being a higher primate. I have at different times spent good amounts of time investigating fly casting, reading up on who says what, watching videos and DVDs, changing my own casting style, coaching others and finally even written a book about how to do it. I suppose if that doesn’t make me an expert it certainly does suggest that I have strong opinions about it. Mind you a friend of mine once commented that “opinions are like arseholes everybody has got one” and I suppose that is as true for me as anyone else. You can read more on my thoughts on casting on this link, just click the image. Still it has come to pass of late that a number of anglers, some of whom I have coached or taught (you can read indoctrinated into my own narrow field of thought if you wish), have been inundated with advice to change things around. Not so much the stroke or the tempo or such but the grip on the rod. When I teach fly casting I generally make no mention of anatomical parts, the elbow, wrist, left knee and such really make very little difference and teaching with reference to them simply results in confusion as far as I am concerned. So no, what you do with your left shoulder is really of very little interest to me, and in my opinion not a whole lot of import to you or your casting either. The only things that I feel are critical are your stance and your grip on the rod. 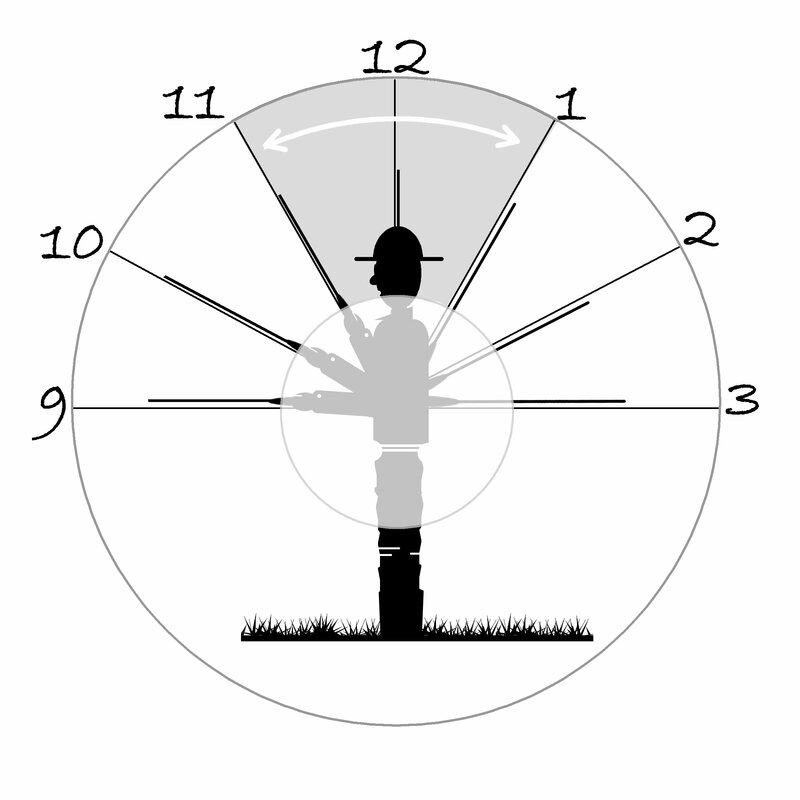 The stance is pretty simple, if you want to keep your shoulder out of the way of the rod and allow yourself freedom to cast properly, rather like a cricketer “giving himself room” it behooves you to stand slightly skew to your target, feet comfortably apart such that you are well balanced, the casting shoulder slightly behind you. 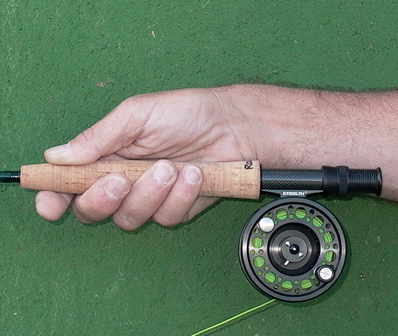 The grip, and I am totally convinced of this, should be with your thumb opposite the reel. I would say on top but of course your could be casting at any angle, horizontally for that matter but you really do want your thumb in a position so as to push the rod when making the forward snap. Sure it isn’t there during the backcast, which is probably why so many people find the back cast more tricky, but that is where your thumb should be. Now there seems to be a move afoot to suggest that one should cast, and particularly cast light tackle with your forefinger in this position, numerous times I have heard this mentioned, something that I can comfortably handle, but of late some of my clients, protégés or whoever have reported back to me that they are under constant pressure to change. I don’t mind change, change is good, one should keep an open mind but in this instance there is never that all important caveat as to why. Why change? What benefit are you going to get and the answer in my opinion is NONE. Sometimes called "The Continental Grip", this doesn't assist your casting stroke or accuracy in my opinion. Oh you get better accuracy they are told, but why should you? There is never any accompanying logic to explain why this would be more accurate and I am pretty darned sure that it isn’t, it is just an affectation that is spreading like a virus within fly fishing circles. 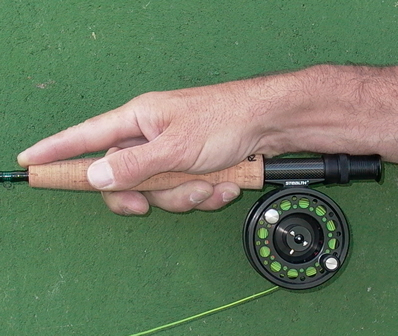 Having your thumb opposite the reel when casting will give your more control, less stress and better accuracy. So here are my thoughts and perhaps some experiments for you to do to see if the thumb opposite the reel rule works for you. Firstly type out an announcement that you are going to change your casting style to using your finger instead of your thumb. Once typed neatly, head for the office notice board, select a nice new sharp drawing pin, (if I said Thumb-tack I would be giving the game away already), and then pin the notice to the board. Sure you used your forefinger didn’t you? Oh you didn’t, no you didn’t because you already know that your thumb is a heap stronger than your finger when it comes to pushing things, like fly rods for example. In fact your body has already stored muscle memory to help you push things with your thumb so you don’t need to learn something new. Plus you will have noticed that accuracy wasn’t too much of a problem, I mean you didn’t miss the pin did you? OK never mind that, you are determined, your guide has told you this is better, you will get more accuracy and accuracy is important right? So try this: Go out in the garden with a friend and point out five different plants or trees to them such that they can identify exactly which ones your are interested in. Chances are that (if you are right handed), you pointed to each tree with the palm of your hand to the left, your forefinger indicating the tree and your thumb on the top. It is a natural action for most people, you point with your finger on its side, not with your hand palm down. Oddly enough most people count objects with their palm down and their index finger horizontal but of course we are interested in accuracy of direction here, not basic maths. Still not convinced? Try this experiment: Start with your casting hand palm down, point your index finger and starting at waist height slowly draw an imaginary smooth vertical line up to shoulder level in the air. Then holding your hand as though you were about to shake someone else’s, point your thumb and draw a vertical line slowly from waist level to shoulder level in the same manner. Almost everyone finds that it is far more natural to draw a straight line with one’s thumb. Your wrist, shoulder and elbow combine to make drawing a straight line in such a manner rather simple, it requires little muscle control whereas in the first experiment there is a lot of muscular control required and it is a battle to keep the line straight. For me those little experiments are proof enough that accurate and sharp casting requires that you push your rod with your thumb. On top of that just try casting anything more than a five weight rod and thirty metres of line with your finger; you are probably going to end up in plaster for a month. I am not suggesting that there are not a few Houdini types out there with index finger arthritis who can’t chuck a line with their finger opposite the reel, I am just saying that I have NEVER met anyone who casts really well like this. This grip is worse than useless, you have no control at all. Disclaimer: From time to time adverts appear associated with this blog. The writers have no control over them nor receive any financial remuneration from their presence. This may not mean that they are not useful to you, however it doesn’t imply that we recommend or offer any endorsement for the products or services offered. Some years back I had my first book published in the traditional print media, “Learn To Fly-Cast in a Weekend” published by Struik, now Random House Struik. 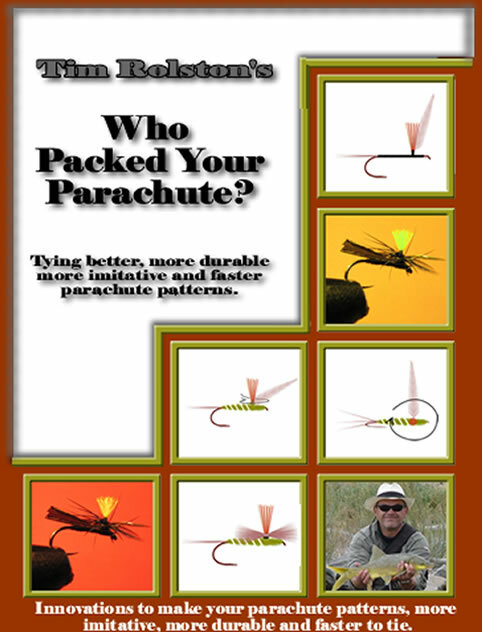 This humble little tome has received great reviews from those who have used the exercises within it to improve their fly casting or to learn to fly cast from scratch (the easier option for sure). It has been very rewarding, perhaps not financially but in other ways to see that book out there and to receive responses from happy anglers from as far afield as America and even Denmark on how the publication assisted them. However (my mother told me you shouldn’t say BUT), there are some problems with this sort of publication, and I have been investigating eBook technology with a view to putting some other thoughts out there. (This eBook thing requires a change of thought process, so I can’t write “down on paper” as I may have previously). Firstly eBooks can be published by anyone and quickly, that is a double edged sword because perhaps some of the stuff then isn’t of the highest quality, which leads to a negative perception of the genre, but at least we all have a voice and one can sort out the wheat from the chaff over time. I have bought more than one hard copy book that wasn’t worth the cover price so perhaps there isn’t too much change there. More importantly eBooks provide advantages to both the author and the reading public, the potential audience is world wide almost immediately and there are no stock problems because the book can’t go out of print or be unavailable. There are no eco issues, the book won’t use any paper unless you decide to print it and it won’t be fouling the jet stream with aviation exhaust whilst it is being transported about globe to millions of customers (Yes we live in hope 🙂 ). Mind you I suppose if my humble books would become so popular as to risk a significant negative effect on the ozone layer and contribute to global warming I am not sure that I would be too disappointed. I suppose one should be responsible though and if I make it onto the Oprah book club I shall be safe in the knowledge that I have done my bit to protect the planet. eBooks also allow for the reader to decide and you are not limited to what the large publishing houses or chain store bookshops think you should be allowed to read or put differently, those publications that they think will provide a quick turn over. Most eBooks will also allow you a free preview of at least part of the book, something like paging through a publication in the bookstore, but in the comfort of your own home. There are some quirks to eBooks however which may require a change of mindset, some of the plus factors are that eBooks can be indexed with hyperlinks such that you can flip to the exact page you require instantly, you can link to hyperlinks out there in cyberspace to check out a relevant video, Facebook page, Twitter account or graphic. Many will even allow you to e mail the author directly with the press of a button. Because they are in effect living documents eBooks can be updated and modified, so that anything from new information, changed contact details or simply typos can be rectified with the touch of a button, meaning that eBooks should in general be more up to date than their hard copy counterparts. Then of course one enters the murky world of copyright, eBooks are subject to copyright, as with any intellectual property but they are easy to copy, swap and sent about the place. That means that the author is mostly reliant on the good nature of the reader not to misbehave. Obviously some will but most authors trust that their audience will abide by both the rule and the spirit of the law and pay for downloads that they think worthwhile.. If you have yet to explore the wonders of the eBook genre maybe you should take a closer look, there are many books available on a wide variety of subjects. Don’t imagine that all the authors out there are failed and rejected people who are determined to do the “vanity publishing” thing come hell or high water. There is some good stuff out there, it is eco friendly, instantly available, you can download much of it in a wide variety of formats from .pdf files to stuff straight onto your Kindle and it will almost always cost you less than a printed version. With Smashwords at least you can’t even lose your book because it will remember that you bought it and you can download it again should something go wrong. There are even many eBooks that are free. I personally have to date published my eBooks with Smashwords, they have an extensive and growing catalogue of titles from fiction to non fiction, gardening to erotica and you can reach them on www.smashwords.com. Available in the following formats: Read on line, Kindle.mobi, EPub, PDF, LRF (Sony Reader), PalmDoc. 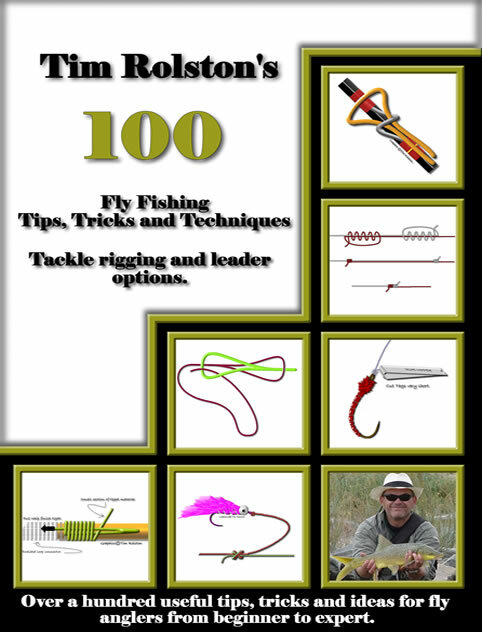 100 Fly Fishing Tips , Tricks and Techniques (Tackle Rigging and Leader Options) ,$6.99 (check below for a limited offer festive season discount). A richly illustrated book filled with colourful and informative graphics and over one hundred little tricks that will assist you to fish more effectively, catch more fish and have more fun, without much of the frustration. Just think that you could do all of your Christmas shopping without leaving the house if you have a a family full of lexophiles. Have a wonderful Festive Season, Merry Christmas and a Happy and Prosperous New Year to all the readers out there..
Paracaddis.. aka Tim Rolston . Tags:E Publishing, eBook, Learn to Fly-Cast in a Weekend, Make Your Own Fly Fishing Lanyard, Tim Rolston, Tips Tricks and Techniques, Who Packed Your Parachute? Fly Casting is yours letting you down? Improving your casting could be the best preparation you can make. You have sorted out your gear so what about your casting? Ok let’s be honest, this post is unashamedly self promoting, but there is a good message in here none the less and well worth consideration, you would do yourself more good to take some instruction or have some casting practice than with almost any other preparation for the coming season. The number one reason why most fly anglers fail. I have guided clients from all over the world on our streams and I have taught dozens of local anglers the subtleties of approaching these catch and release waters and the NUMBER ONE reason that most anglers fail to get the results they should is because they simply don’t cast well enough. When all is said and done most of us spend far too much time worrying about flies and leaders and all manner of gizmos without actually being able to use all that technology to good effect. The expensive rod, the micrometer tuned degressive leader and the host of fly patterns all fail to work if the fly is not presented properly and in the right place, and that means that YOU have to cast them. You aren’t out there with anyone else and don’t go blaming the wind or the trees or whatever, fly fishing is a sport where there is nowhere to hide, you are solely responsible and it amazes me how few anglers take their casting abilities, or too often lack of them, seriously. Take for instance a typical client, he is a great guy and super company on the river, he has travelled extensively and can regale one with wondrous stories of his fishing exploits. In fact I like this guy, and he really makes a super companion and client on the streams. However whilst he has fished for Taimen in Mongolia, Bonefish in the Seychelles, cast for Ponoi Peninsula Salmon, New Zealand Browns and Hutchen in Slovenia. Whilst he may have spent enough dollars to be able to pad a mattress on exotic location travel, guides and helicopters in all manner of places he can’t cast a fly well enough to hit a barn door from the inside? So what’s the problem here? #1: You cannot learn to fly cast whilst fishing. (no more than you could learn to drive on a freeway). Firstly you can’t learn to cast from your guide and I don’t teach casting when I am guiding, there is too much other stuff going on to get it right and you really need to practice, in fact you want to practice until it is right, then you will never have to think about it again. So all the expensive guided trips aren’t going to help you that much. #2: You shouldn’t be reluctant to ask for help and get it right. Secondly, for some odd reason, fly anglers seem reluctant to get help. 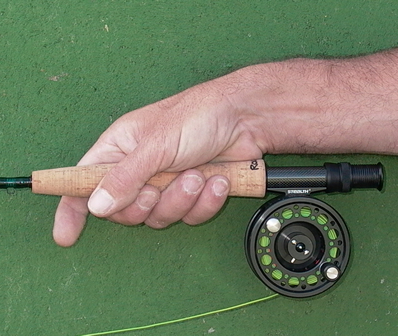 Golfers automatically go to the pro, squash players, tennis stars etc all get coached by others to help them, but fly anglers seem to think that there is something demeaning in asking for assistance with the most basic of all functions, casting a fly or they simply think that they are good enough that they couldn’t do better. So they fiddle about on the lawn or the stream, they get taught bad habits by their buddies or they convince themselves that this is as good as it gets and carry on at the skill level that they have acquired. Perhaps part of this is simply because being a mostly solitary sport they aren’t aware of what is possible and don’t have a comparison. #3 Not all the people who are prepared to teach you to cast are actually capable of doing so. Thirdly, and this could be seen as somewhat contentious I admit, a lot of people who are teaching casting out there really aren’t that good at it, the teaching that is not necessarily the casting. One thing I dislike more than any other is the reliance on the “casting clock” system, which is almost diametrically opposed to what actually happens in a good fly cast, and a method of instruction that is so ingrained that few fly anglers have managed to completely avoid its pernicious acceptance. I have reviewed most of the casting videos, DVD’s and books that have ever been produced and there are few I would recommend. Perhaps the most honest approaches would have to be the thoughts of Charles Ritz on high line speed casting and the instruction of Lefty Kreh, many others don’t cut the mustard as far as I am concerned. In fact based on what I see on the river every day, there is something drastically wrong with casting instruction because the efficacy of most of the anglers one sees just isn’t up there. If most owners of motor vehicles drove as poorly as most owners of fly rods cast, then the carnage on our highways would be considerably worse than it already is. In fact overpopulation and global warming could take a turn for the better. So to start with here are a couple of tips or suggestions that may help you. You shouldn’t judge your casting by the distance that you obtain but by the narrowness of the loop you can create. Narrow loops begat high line speed and high line speed gives you accuracy, control and in the end, if required, distance, not the other way around. Casting short lines can be as or more demanding than long ones and on the streams that we fish accuracy and efficiency of delivery of the fly weigh far more heavily on the angler than bunging your pattern into the middle distance. You should, on a stream, be able to present your fly with no more than a single false cast, more and you are both wasting fishing time and potentially spooking fish as well. Accuracy isn’t really quite the “land the fly in a tea cup” that one reads about in the books, even if you are hot you aren’t going to do that all the time, but the ability to get the fly into the feeding lane of a targeted fish is pretty important and on small streams that still means that you may only have inches to play with. 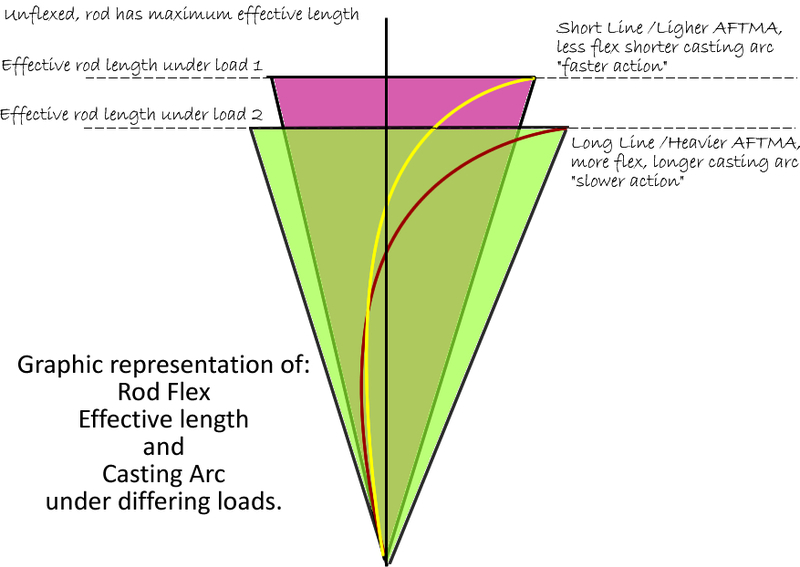 Fishing short with light lines can benefit from “Double Haul” technique just as much as when fishing heavier gear at a distance. All accomplished fly anglers should be able to do this and as a word of warning, you can’t, and shouldn’t, try to learn to double haul until your basic cast is near perfect.. So is your casting up to scratch? You get a lot of wind knots in your leader or worse still your fly line..
You have to pack it in when there is a moderate breeze.. (fly fishing is rarely as easy or as good in a howling gale, but you should be able to at least cast the fly in conditions other than flat calm). You regularly catch the bushes behind you. You can’t manage to fish with a leader longer than nine feet in length. You get tired from casting a trout rod for a day. You spend most of your time on stream undoing tangles. It takes you half a dozen attempts to put the fly over the fish and often by then it is spooked. If you have or do experience these things then fine, admit it and get some instruction, this isn’t meant to spoil your day, it is meant to point out what really should be obvious. The better you can cast the better and more enjoyable your fishing is likely to be so why not make a decision now that this year you are going to get it right and be able to enjoy future exertions more fully. When speaking of it afterwards, may have no need to lie. Lord please send me one good client, no matter that he lie. Who when called upon to do so, at least can cast his fly. Ok here is the self promotion. You can of course obtain lessons and books, videos and DVDs from any source. Some are worthwhile and as said I would personally recommend those by Lefty Kreh, and the writings of Charles Ritz, although I am not sure you could actually call the later instruction. You will find a selection of casting instruction books available from netbooks. For a selection of books available on line on the subject click here. If you would like to follow some simple, on the lawn exercises that WILL help you get better and allow you to once and for all get that poor casting monkey off you back then do consider getting a copy of my book “Learn to Fly Cast in a Weekend” . You can obtain it from a variety of on line book stores, as well as high street shops. It is currently listed with Angler’s Book Supply in the US and you can even get a copy direct from me. To be honest the economics of the project are not of issue here. The publishers have done a typically poor job of promoting it and it irks me to see so many people out there not casting well, not enjoying their fishing as much as they would like and not knowing what to do about it when a solution is in fact at hand. In fact you will be able to download a free copy of parts of the book from http://www.smashwords.com/books/view/3047 just so that you can decide if you think that it is worth it.. I can’t really say fairer than that.. but I will, I will say that if you get a copy of the book from me, you follow the instructions in it and you don’t see a noticeable improvement then you can return the book to me and I will give you your money back. So stop hiding from the truth, the season is coming and you can make a choice now to enjoy it more than in the past or not. I promise you that the effort will be well worth it. 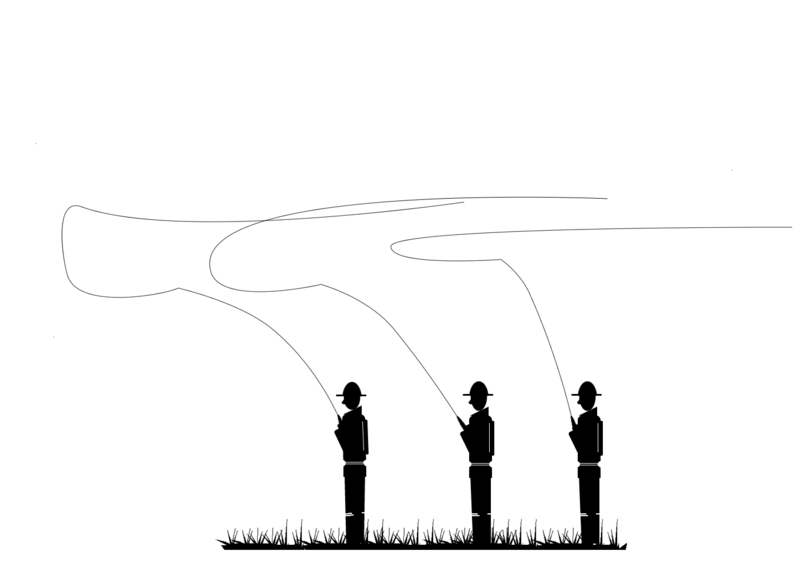 Coming soon on this blog: fly patterns for Western Cape Streams..